Every Monday, we highlight new music from female-fronted bands. Today we’re premiering a single from Laura Jean Anderson. Singer-songwriter Laura Jean Anderson grew in Olympia, Washington up singing in church and surrounded by roots music. 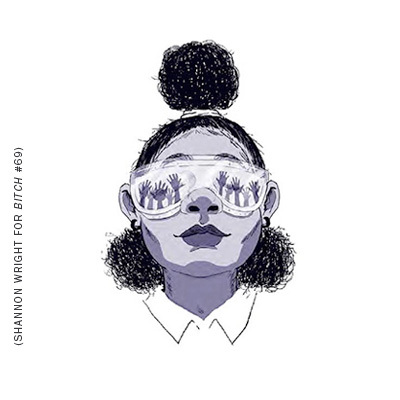 In her self-released, debut EP Righteous Girl, she combines those wholesome sounds with soulful vocals and the loose and lovely chaos of garage rock. The EP was produced by Anderson and Theo Karon, a well-known producer who has also worked with Mavis Staples and Foxygen. “I feel like these songs reflect that feeling you get when you get one glimmer of hope, of sunshine in the midst of a deep depression,” says Anderson. Righteous Girl comes out March 4—check out single “It Won’t Take Long” below. Relevant: BitchTapes: Who Says Punks Can't Dance? Put on your combat boots and hit the dance floor!